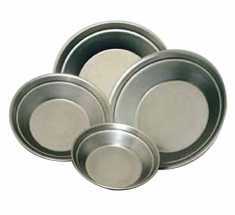 Southern Metal Spinners camping cookware makes roughing it look easy. 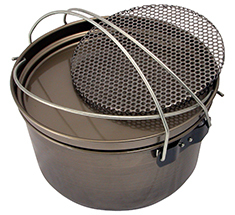 Our camp pans are made from high quality spun carbon steel and food never tasted so good! The complete camp pan range is designed for outdoor cooking, whether it’s over a camp fire or a Weber, on a barbecue or a camp or wood stove. 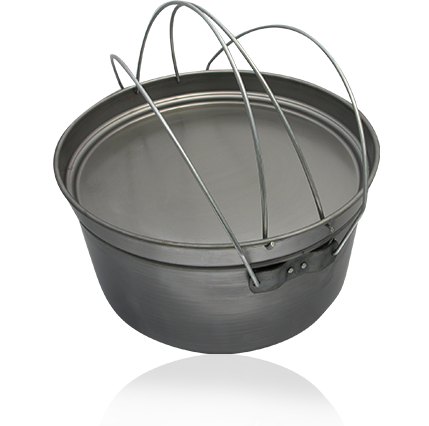 The solid design and construction of these camp pans ensures a long lasting product for your cooking pleasure. 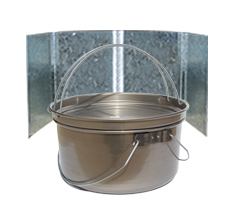 Southern Metal Spinners Bedourie Oven is made from Heavy Gauge Spun Carbon Steel that will not break or crack. 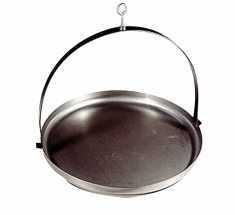 The lid can be used as a frying pan. 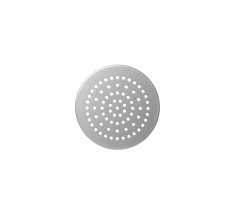 Also comes in 12"
Suitable for all 12" camp ovens - specifically designed for cooking with Camp Ovens using a gas burner as the fuel source. Ideal for use in national and caravan parks. 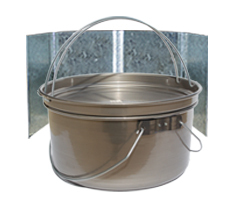 Suitable for all extra large camp ovens - specifically designed for cooking with Camp Ovens using a gas burner as the fuel source. Ideal for use in national and caravan parks. Perfectly sized for your 15" Aussie Camp Oven. Carbon Steel Construction. 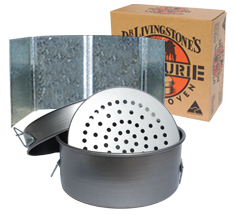 Place a trivet in your camp oven and stop food from burning and sticking to the base. Perfectly sized for your 10" Aussie Camp Oven. Carbon Steel Construction. 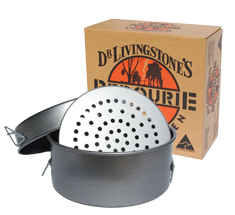 Place a trivet in your camp oven and stop food from burning and sticking to the base. Perfectly sized for your 12" Aussie Camp Oven. Carbon Steel Construction. 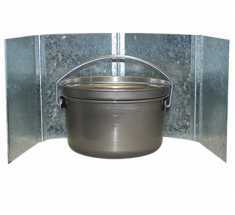 Place a trivet in your camp oven and stop food from burning and sticking to the base. Southern Metal Spinners Aussie Fish Smoker Cooker... the easy way to unique flavoured foods. 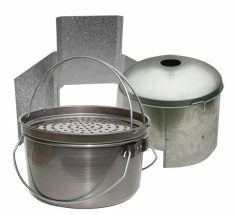 Full size smoker - 350mm (14") diameter x 200mm (8") height packs down to 80mm high. Stainless Steel Construction. Turn your catch of the day and other foods into a taste sensation with this simple smoker. Great! 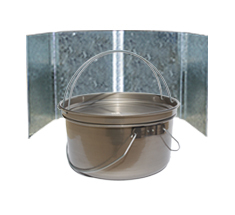 Bundle includes Aussie Camp Oven 12", Campa Pan 20" & a FREE Aussie Windshield. 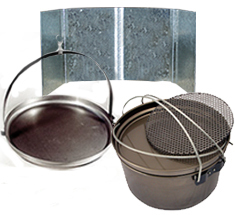 Bundle includes Aussie Camp Oven 12", Campa Pan 16" & a FREE Aussie Windshield. 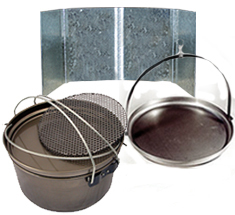 Bundle includes Aussie Camp Oven 10", Campa Pan 20" & a FREE Aussie Windshield. 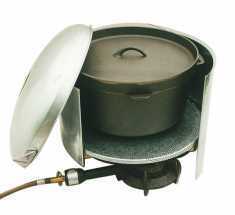 Bundle includes Aussie Camp Oven 10", Campa Pan 16" & a FREE Aussie Windshield. 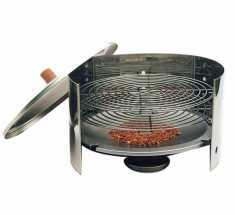 Bundle includes Aussie Camp Oven 12", Camp Oven Mate - for camp oven cooking with gas (max 340mm diameter oven) & a FREE Aussie Windshield. 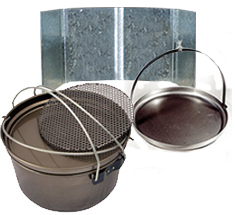 Bundle includes Aussie Camp Oven 10", Camp Oven Mate - for camp oven cooking with gas (max 340mm diameter oven) & a FREE Aussie Windshield. 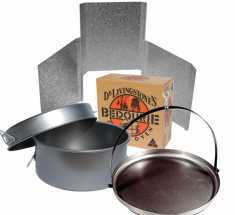 Bundle includes Bedourie Oven 12", Campa Pan 20" & a FREE Aussie Windshield. Made from Heavy Gauge Spun Carbon Steel that will not break or crack. 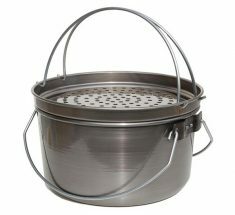 The lid can be used as a frying pan. Introducing the Aussie Windshield, the portable, easily assembled outdoor wind break for your camp oven or camp BBQ. 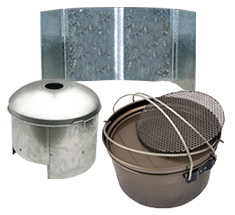 Bundle includes Bedourie Oven 10", Campa Pan 20" & a FREE Aussie Windshield. Made from Heavy Gauge Spun Carbon Steel that will not break or crack. 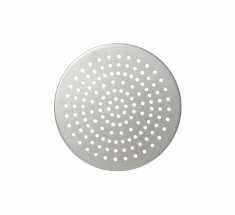 The lid can be used as a frying pan. 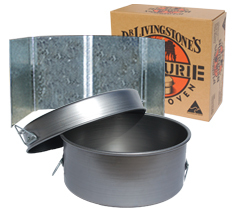 Place a trivet in your camp oven and stop food from burning and sticking to the base. Made from Heavy Gauge Spun Carbon Steel that will not break or crack. 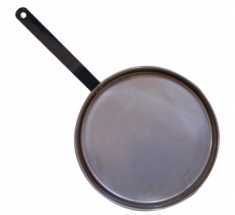 The lid can be used as a frying pan. 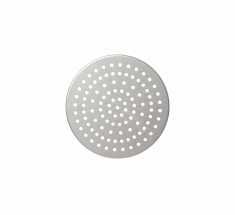 Includes Trivet & Windshield. 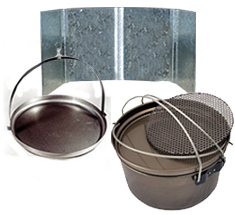 Bundle includes Bedourie Oven 12", Campa Pan 16" & a FREE Aussie Windshield. 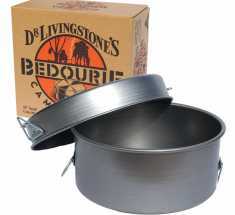 Bundle includes Bedourie Oven 10", Campa Pan 16" & a FREE Aussie Windshield. 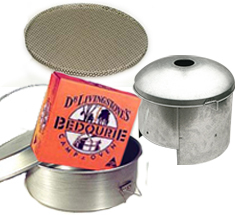 Bundle includes Bedourie Oven 10", Camp Oven Mate - for camp oven cooking with gas (max 340mm diameter oven) & a FREE Trivet. 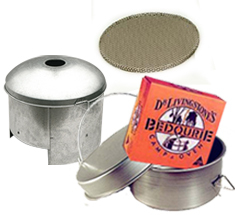 Bundle includes Bedourie Oven 12", Camp Oven Mate - for camp oven cooking with gas (max 340mm diameter oven) & a FREE Trivet.